UCC Music is proud to present SOUND SOUND DAY, a multifaceted celebration of the profound world of sound. It features special guest Chris Watson, BAFTA Award-winning sound recordist, who will talk about his recording expedition to the Arctic for the Attenborough documentary Frozen Planet and present a live quadrophonic diffusion of recordings made at Galley Lighthouse for RTÉ. SOUND SOUND DAY is packed with talks,performances and participatory workshops delivered by leading Irish composers, sound artists and sound specialists. 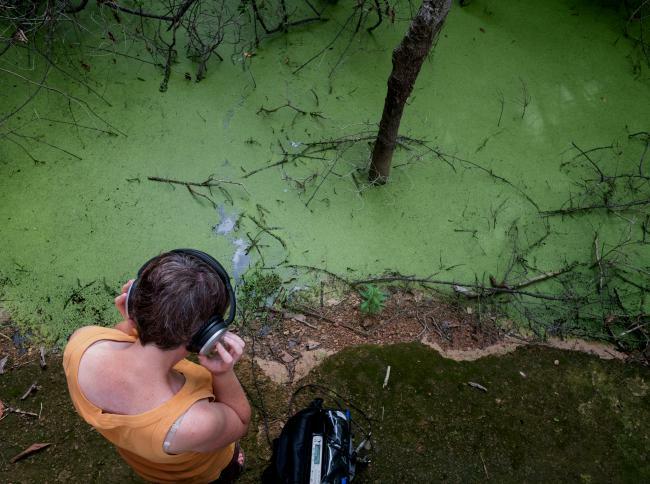 Experience open-to-all talks, listening workshops, Sonic Histories and Sound Walks; hear music built on field recordings taken all over the world; see top improvisersand experience the unique multimedia ensemble CAVE (Cork Audio Visual Ensemble). Featuring Chris Watson, Karen Power, Danny McCarthy, Sean Taylor, CAVE, Jillian Rogers, Elaine Harrington, John Hough, Jeff Weeter and John Godfrey. 3.30pm Jillian Rogers, talk: "Under the Piano with Roland Garros: Conceptions of Music and Sound as Embodied and (Sometimes) Therapeutic in World War I-Era France"
Admission is free to all events and open to all.